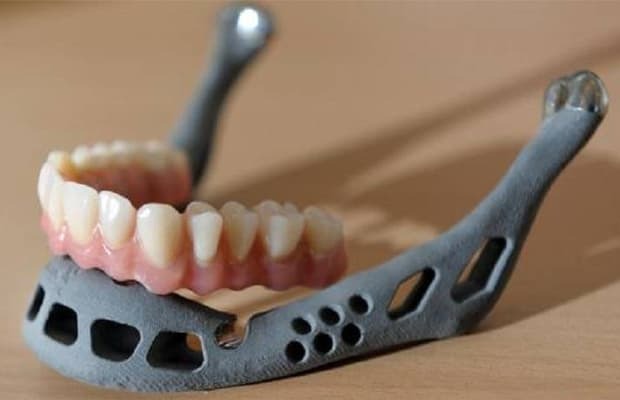 A team of doctors and bio-engineers constructed this artificial titanium mandible for an 83-year-old Belgian woman who endured an infection that nearly deteriorated her jaw. Production on the prosthetic was done digitally and transplanted successfully with the implant fitting the patient in just four hours. The senior citizen was able to speak and chew the following day.